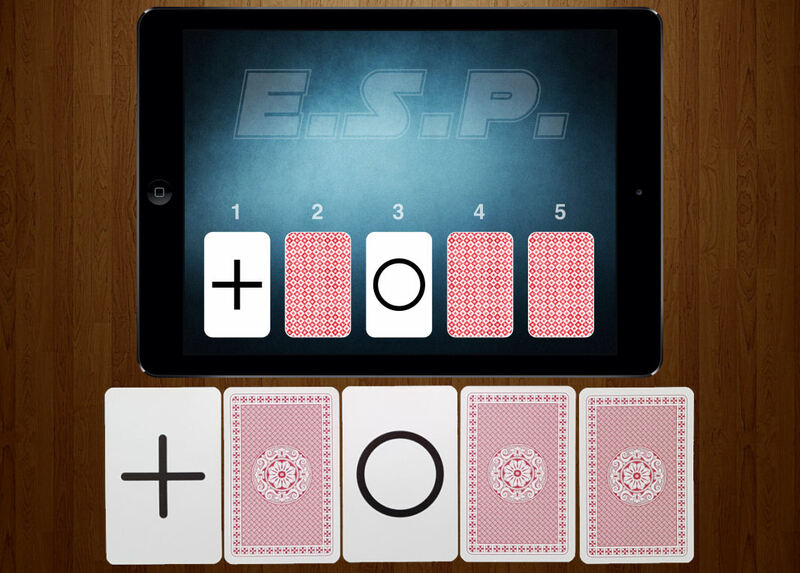 You show the app to the spectator, demonstrating how you can move (by dragging) and turn upside down (by double tapping) the virtual ESP cards. You ask the spectator to turn each card face down, mix them up, and place each of them into a card frame (under the numbers). It is important that neither of you know which card is where. 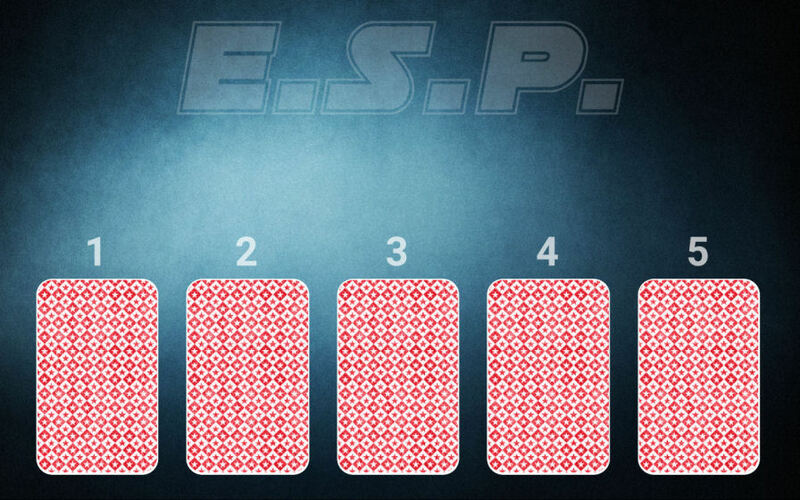 Then you give them 5 real ESP cards to examine, and ask them to mix the cards face down. 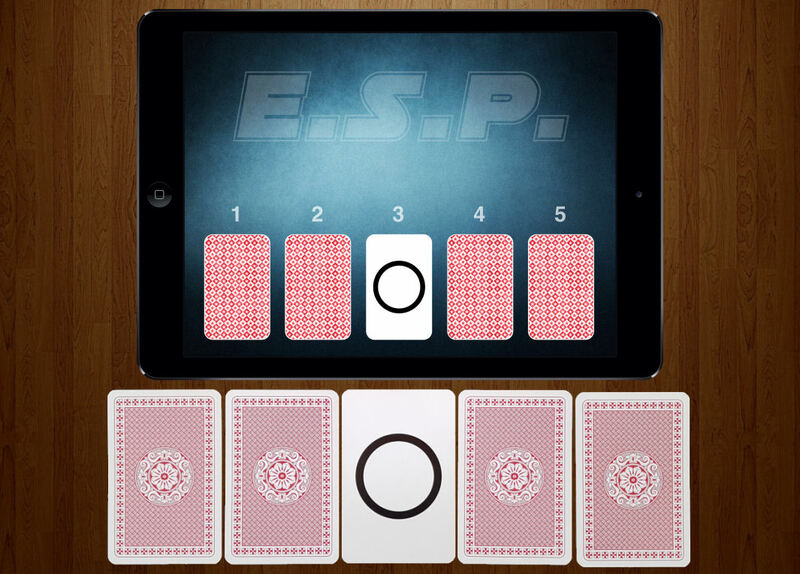 If you have two spectators, one can mix the real cards, while the other can mix the virtual cards on the screen. When they are done mixing the real cards, ask them to place the face down cards in a row below the screen, under the virtual cards. Then do a quick recap: they have mixed both the virtual and real cards, and placed them in a random order. 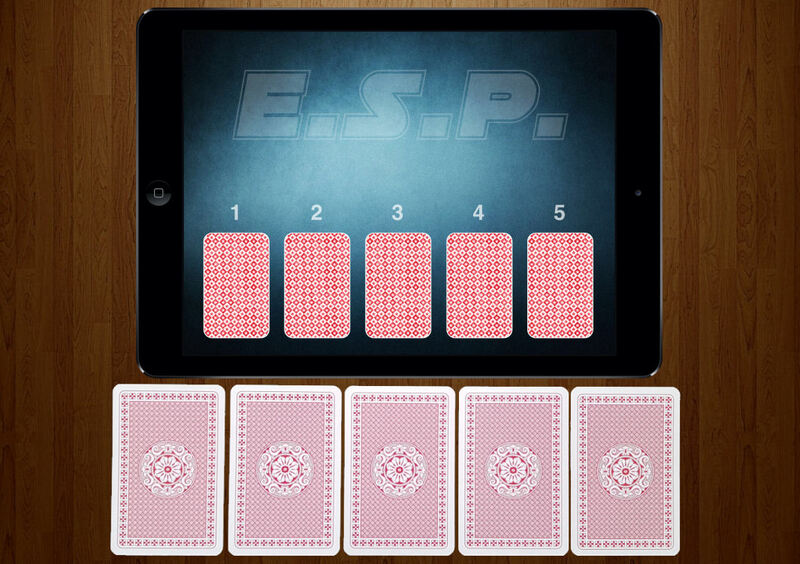 Then you wave your hand over the cards, trying to feel which cards do match... you then say "I have a feeling there is a match under number 3", and ask them to turn over card #3 on the screen (by double tapping), revealing an ESP sign... then they should turn over the corresponding card under the tablet. It is a match! Then you wave your hand some more, and now you feel a match under #1. The spectator should turn over the cards - and they also match! 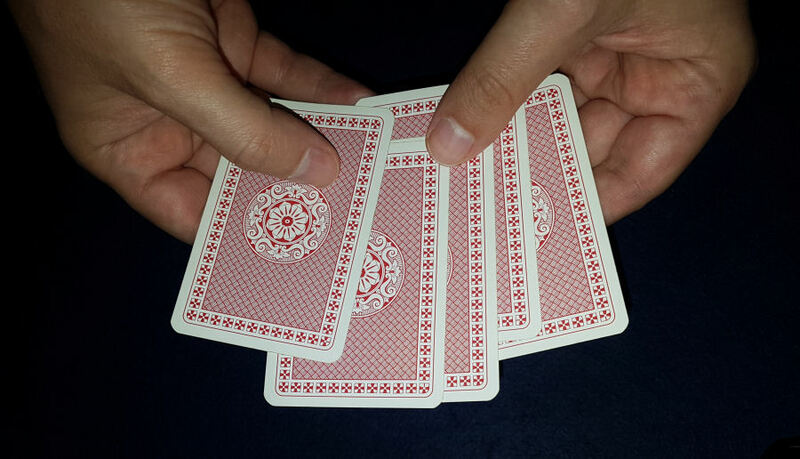 You continue looking for matches by waving your hand over the cards, and ask them to turn over cards #4, then cards #2 and finally cards #5 - and all virtual cards match the real cards under them! You will find detailed instructions inside the app. You will have to buy or print some E.S.P. cards for the performance, there is a how-to guide and also a download link in the User Guide.